Admission to The Ohio State University is competitive. All future BSPS students must first apply and be admitted to the university. You must indicate 'Pharmaceutical Sciences' on the application as your desired major. The pharmacist application opens for each new cycle in early-to-mid July of each year for student seeking admission for the following autumn. The PharmCAS application deadline to be considered for the next cohort, which begins at the start of autumn semester, is the first Monday in February each year. For questions pertaining to the application process for the PharmD program, please e-mail cop-admissions@osu.edu. $60 Non-refundable Application Fee, paid at the time of application submission. All residency programs utilize the ASHP supported Pharmacy Online Residency Centralized Application Service (PhORCAS) for ALL resident application submissions. 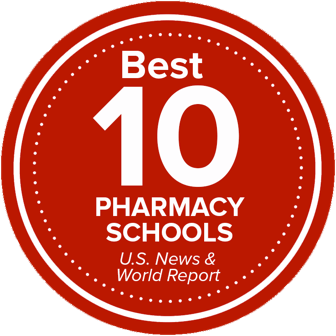 If you are applying for one of the Health-System Pharmacy Administration Residency positions and have any questions regarding the Graduate School application please contact Jessica Costic, Graduate Program Coordinator in Health-System Pharmacy at The Ohio State University, College of Pharmacy, 500 W. 12th Avenue, 138-A Lloyd M. Parks Hall, Columbus, Ohio 43210, 614.292.6822. The College of Pharmacy deadline for completed applications with financial assistance (Graduate Teaching Associateships and Graduate Research Associateships) for the Fall Term is December 15. On the first page, select Pharmaceutical Sciences. Create your account then select PhD in Pharmaceutical Sciences.